Creating lo-fi music in the digital realm is all about inducing the flavor of analog imperfections, tape machine modulations and the colorations caused by worn equipment and mechanical artifacts. Go easy on the salt thought! You want to go subtle with these lo-fi seasonings. Too much can completely ruin that classic dish you’re trying to serve. Take it to Mono. The stereo spread of hi-fidelity is what we want to get a little bit away from. To take things a little back in time, insert a mono plugin component on your virtual instrument track. Reduce Tape Speed. A lo-fi sound is typically generated at slower tape speeds. For some lo-fi warmth, slow it down from 15 ips to 7.5 ips to reduce the brightness and boost the lows. 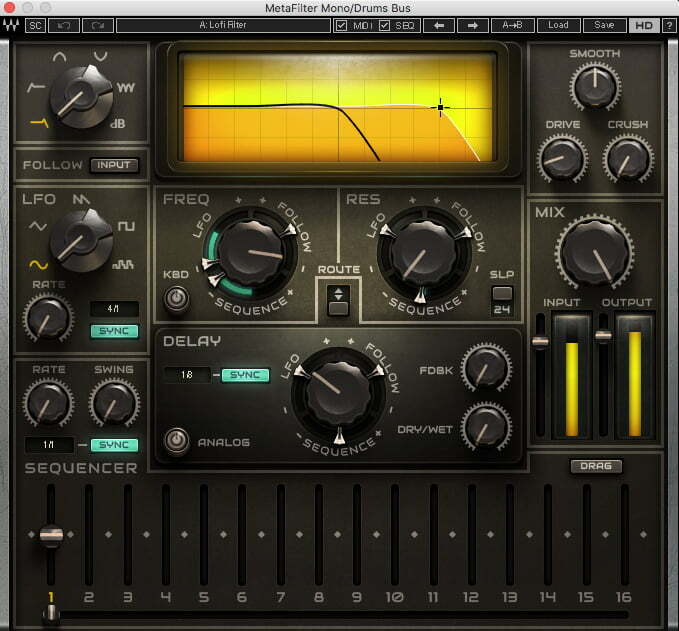 Nominal Bias helps produce the low-level noise and saturation for a bigger, lusher sound. Flux simulates the amount of magnetic radiation emitted from the record head on to the tape.This translates into that desirable, dirty thickness of tape distortion. Noise gives you that tape hiss and added analog flavor. Dial in a little noise to brings a subtle analog machine character to your sound for a greater lo-fi effect. Tape delay can create a sense of atmosphere to your sound. Even though the original tape machines didn’t have a delay function, engineers back in the day would route different machines for slap/feedback echo effects. What was once an unwanted mechanical byproduct of analog tape is now what we seek when we want that lo-fi character. If you grew up listening to music on a cassette deck, Walkman or boombox then you know the sound. If not, sorry, but you missed countless hours of rewinding, fast-forwarding, and waiting forever to catch your favorite song on the record to add to your mixtape. Wow simulates the irregularities in speed you might get from a tape machine motor. Adjust this to get that perfectly imperfect wobble. 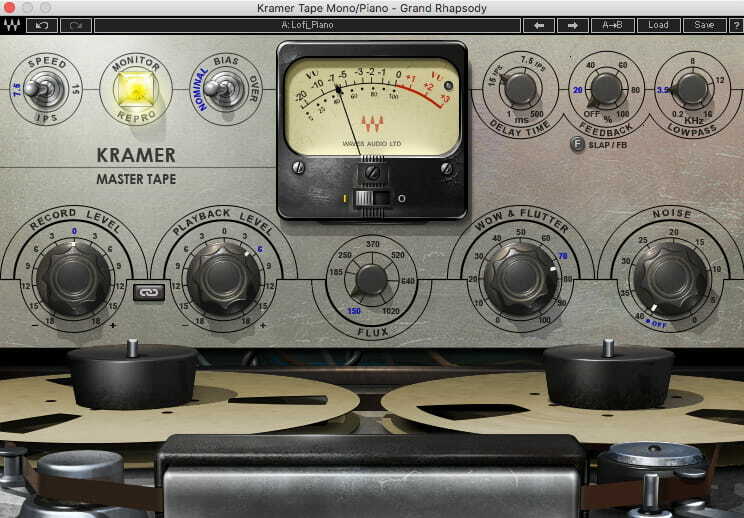 Flutter is deviating the pitch and simulating the movement of tape warping across the recording heads. The Rate controls the speed of deviation and the Depth controls the amount added to your sound. 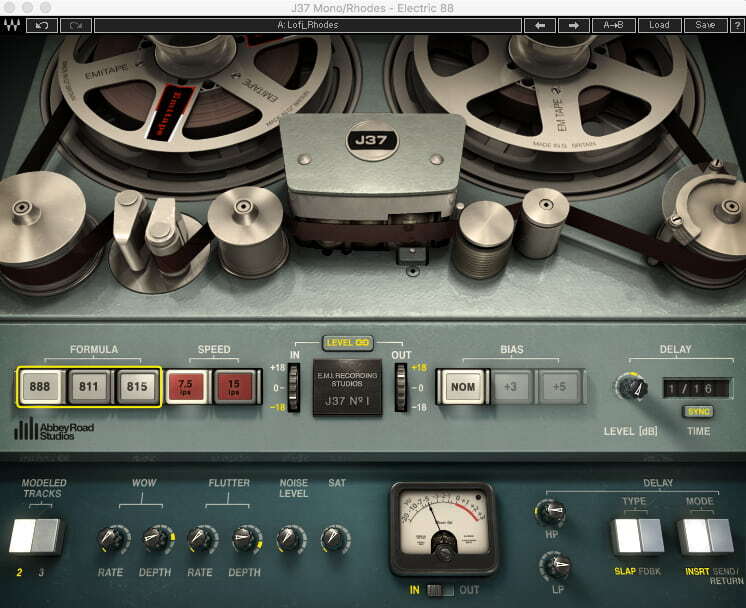 Go with 888: J37 Tape features three tape formulas specifically developed by EMI for Abbey Road studios – each with their own unique frequency response and harmonic distortion behavior. The EMI Tape 888 is considered the most lo-fi out of the three for its more distorted sound between 1 kHz and 8 Khz. Reduce Tape Speed. Lo-fi is all about that slower tape speed. 7.5 ips will also make the Wow & Flutter effect more dramatic. Bring the Noise! Adding a subtle amount of tape machine noise increases the lo-fi mood. Saturation. A little saturation and tape distortion go a long way for some dirt and analog warmth. Tape Delay increases the depth of your sound. Dial in just a touch of the tape’s slap delay to create retro ambience. It also makes a great substitution for reverbs while maintaining definition to your sound. 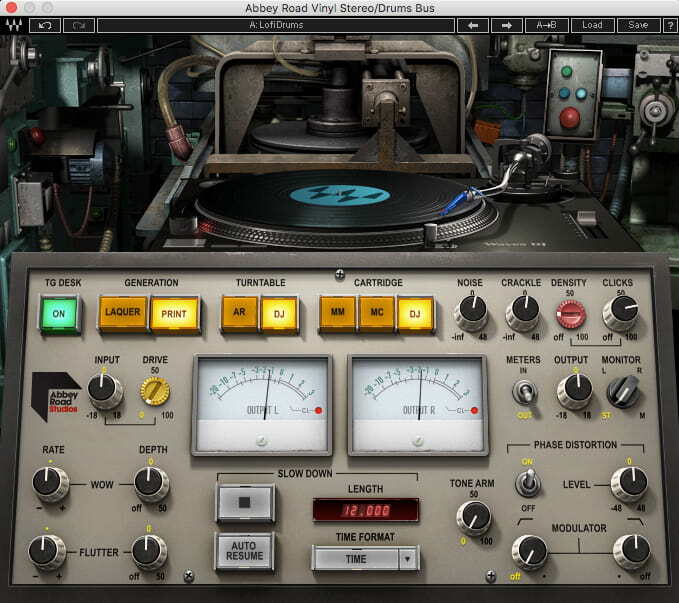 Abbey Road Vinyl’s Generation section emulates the stage in the actual vinyl creation process. Of the two Generation options, Lacquer is the cleanest and most accurate representation of the original audio. But you want to go lo-fi, so take it to Print to emulate the pressed disc that is another generation away from the original audio. Take the fidelity even lower by adjusting the Turntable type. Instead of the original AR, or Abbey Road turntable, select DJ to emulate a direct-drive turntable. One thing that separates Abbey Road Vinyl from other vinyl emulator plugins is its selection of cartridges. To go lo-fi, you want to avoid the modern, high-end expensive cartridges like the MC (Moving Coil), or DJ. Remember we want things to sound a bit ‘cheap’. Take it back to the 80’s with the MM, or the Moving Magnet cartridge type for classic low-end consumer goodness. Dial up the Noise, Crackle and Clicks for more lo-fi vinyl impact. The Density control allows you to control the amount of clicks and further customize the vinyl character to your sound. I may sound like a broken record, but again, the trick with vinyl effects is to be subtle. Just as with tape machine emulation, adding a little goes a long way. Make sure to check out the built-in slow-down/stop mechanism, which always comes in handy for those breaks and pauses in the track. Another essential method of adding lo-fi texture to your tracks is the use of the classic radio EQ effect. Or in other words, recreating the sound of a crappy old clock radio speaker. You know…those things we all used to wake up to before our smartphones! Some call it the underwater filter effect. Others call it the ‘telephone’ effect. Whatever you call it, this trick can give your mix a nice low fidelity touch. The traditional and common approach to achieving this effect involves either grabbing an EQ, rolling off the lows in the 200-300 Hz range, and cutting the highs between 2-3 kHz. There’s also the approach of re-amping, or running the signal through an old-school tape player, sampler, or guitar amp and then mixing that back into the DAW. The all-tube design of the PRS SuperModels’ Dallas amp is a great way to create the re-amping effect that can add a nice fat and dusty sweetness. Boost up the Volume, or the preamp gain to induce a little amp distortion. 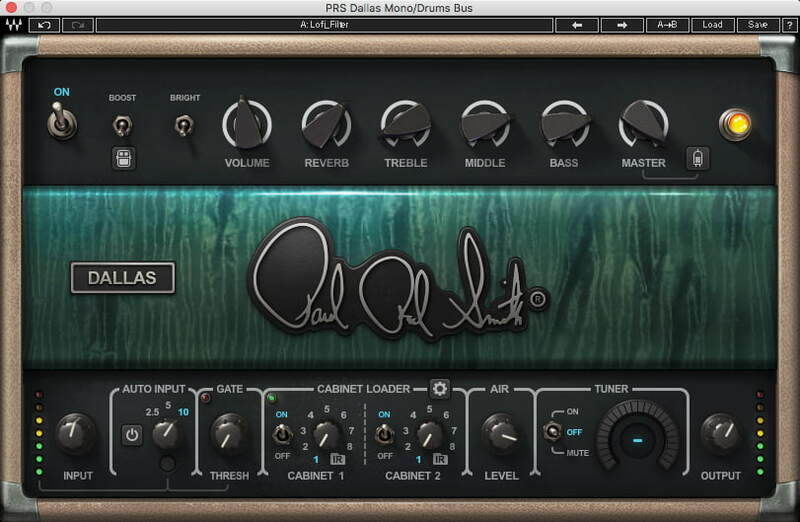 The Dallas’s natural sounding Reverb is for adding dimension and depth. For that lo-fi smoothness, roll off some top-end by bringing the Treble down. You aim for a slightly muffled, but still recognizable sound. Warm up the middle! The lo-fi aethestic is all about that prominence in the mid-range. More bass! Increase the low-end amp growl. Sync up the LFO (low-frequency oscillator) rate to your track’s tempo. The Rate determines the speed of the filter effect. Use the Sequence control to control the length of modulation. Set the Frequency control to your desired frequency to create a nice sweeping effect. The trick to creating a lo-fi vintage vibe into your tracks is to do it subtly across your individual tracks. It's the subtle analog imperfections, mechanical modulations and nostalgic warmth that make the lo-fi sound so special. The key to getting that pretty gritty sound is dialing in just enough character, without overdoing it. Just remember you don’t need to go too high to get lo-fi!